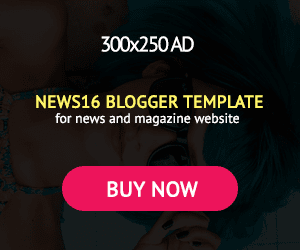 Ezekwesili Reacts As Buhari, Atiku Are Absent In First Presidential Debate - NAIRAFAME | Best Entertainment Platform. 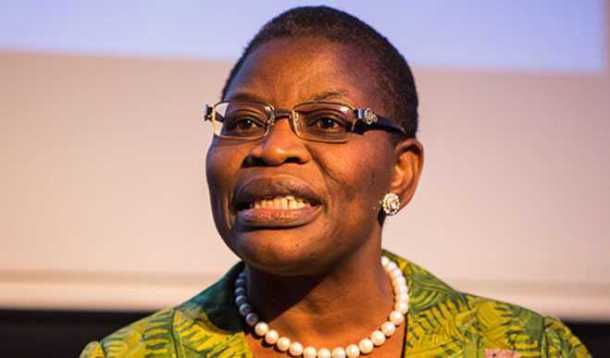 Oby Ezekwesili has expressed displeasure at the absence of President Muhammadu Buhari, and former vice-president Atiku Abubakar, and some other leading candidates for the 2019 presidential elections at the first 2019 presidential debate. Atiku, who is the Peoples Democratic Party (PDP) candidate, sent in Segun Sowunmi to represent him at the event, while President Buhari of the All progressive Congress,APC sent in no representative for the debate. 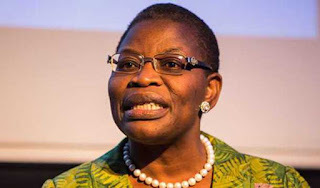 Speaking at the debate, Ezekwesili, presidential candidate of the ACPN, said she could have gotten angry and left, following the absence of Buhari and Atiku, but said she stayed for the debate out of respect for Nigerians present. The debate is currently holding in Abuja, and hosted by The Osasu Show, and supported by ONE campaign, Connected Development (CODE), and YALI Abuja. It gives me an opportunity that out of due respect for the Nigerian people that I agreed to be on this panel today. Ezekwesili said. “When I looked and saw that the two main parties; one is absent, the second sent a representative, his spokesperson, I could have become arrogant and say I am not going to seat here, but I decided to stay out of respect for you. Other presidential candidates present at the debate include Alistair Soyode, founder BEN TV London; Tope Fasua, CEO Global Analytics Consulting. Also expected at the debate are Kingsley Moghalu, former deputy governor of the Central Bank of Nigeria; Fela Durotoye, candidate of the Alliance for New Nigeria; Omoyele Sowore, AAC candidate; and Donald Duke, former governor of Cross River.